Finding a balance between the increasing demand for energy and preserving the environment is a challenge not taken lightly at Gargi. We adhere to the highest safety standards in our operations and abide by a stringent code of ethics in all manner of business. Each of our operations faces different environmental challenges, and we are diligent in our production practices as well as our chemicals production. Dramatic advances in technology have not only helped us keep up with the ever-increasing demand for reliable industrial chemicals, but have led to less intrusive, cleaner and safer operations. Our development methods are designed to reduce the impact of our operations in areas in which we work. Responsible health, environment and safety (HES) is a core value for Gargi - encouraged, supported and reinforced by senior management and the board of directors through stringent policies and procedures. 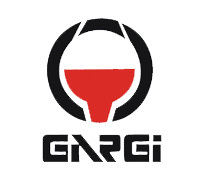 Gargi's HES Principles demonstrate our commitment to developing and implementing programs which focus on continuous improvement in resource conservation, release reduction, pollution prevention and energy efficiency. We set objectives that consider business issues, other environmental priorities, resource availability and past accomplishments, and allow managers to prioritize capital spending in accordance with the business segment HES risk management priorities.